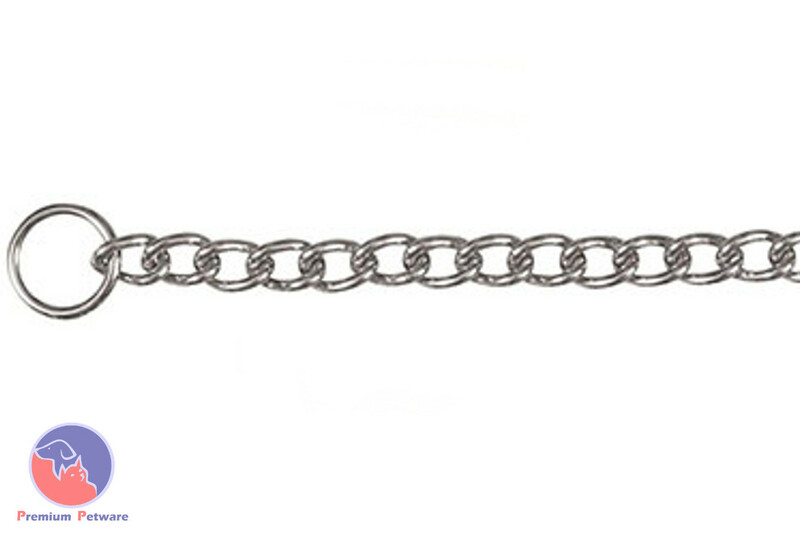 Traditional style chrome plated check chains for dog training and walking. These tighten around the dogs neck if the dog pulls / lunges and need to fitted correctly to be effective and safe for your dog. The chain should be fitted so that the lead connected end runs over the top of the neck. This way if the dog pulls the loop tightens, and when pressure is released, the loop loosens again. Fitting the wrong way round can cause the chain to tighten and not release and could lead to asphyxiation. See below, the correct way pulls over the top of the dogs neck.